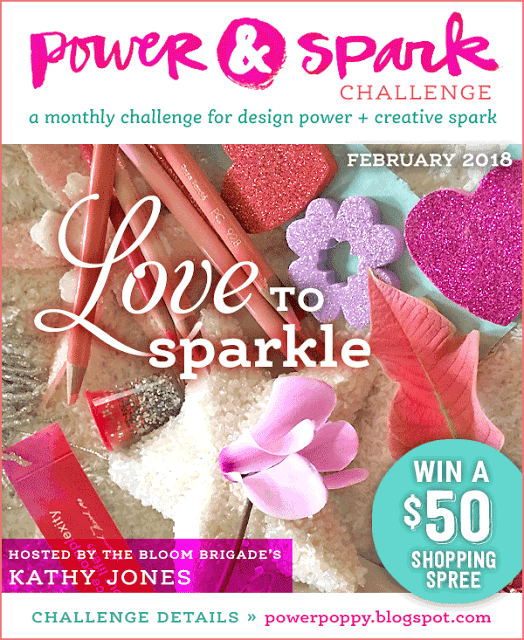 This month over at Power Poppy the Power and Spark challenge is all about love and sparkle, you can choose to do both themes or just pick one. I'm not big on sparkle so I went with the love theme. New Valentines Day digi's were recently released at Power Poppy and this image is from the Va-Va- Valentines Digital Stamp set. How fun is it?! I have 2 mini dachshund puppies that LOVE to steal our socks so this image makes me think about chasing them through the house LOL I'm on a red and yellow kick, I love how bright and happy these colors are together, so that's what I used for my color palette. My layout is from the new challenge at Die Cuttin Divas. As soon as I saw it I knew I wanted to use it! I have a feeling this sketch will end up being one of my favorites! 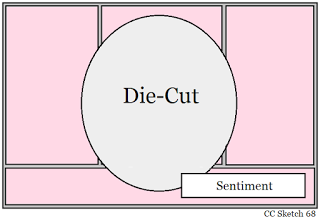 My die cut is the oval that the image is placed on, it's from an MFT set. You just inspired my Valentine's card for my fiance'. Thank you! I love this sooo much! Awww, that's awesome, I'm glad the card inspired you!! Fantastic take on our sketch over at Die Cuttin' Divas! I love the bright colors, too, and what a cute image/sentiment! Thanks for linking to Die Cuttin' Divas this week! Eee so cute! I love the fun yellow and the polkadots! Great layout too! Thanks so much for joining us at Power Poppy Lisa! Love the bright colors. Thank you for joining our “February Sketch” Challenge this week at Die Cuttin’ Divas. This is so fun!! Love the socks and sentiment, and the bright colours!!! Thanks for joining us at Die Cuttin Divas this week. TOTALLY CUTE!!!!! Oh my goodness adore the socks ya know and your colors are fabulous. Darling! Thanks for playing in Power Poppy's Power and Spark challenge this month.